Aditya has designed and taught numerous courses in Computer Science ranging from freshman to senior graduate levels. Focus on student engagement and active learning are critical components of Aditya’s teaching style. He has authored several textbooks. 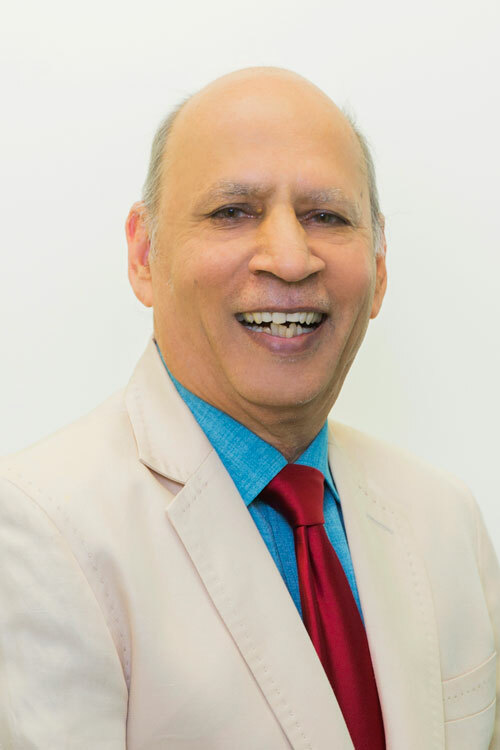 His most well known book “Introduction to Microprocessors” was first published in 1980 by Tata McGraw Hill and its third edition is now in its 36th reprint. This book, the first on the subject in India, led to the initiation and subsequent proliferation of undergraduate courses in microprocessors. His most recent book is titled “Foundations of Software Testing” and was published by Addison Wesley Professional in 2008. In collaboration with Barry Wittman and Tim Korb, Mathur has coauthored a text titled A Gentle Introduction to Programming Using Java. Aditya’s research spans software testing, reliability, and process control. His foundational work, published in over 160 papers, relates to investigations into the effectiveness of testing techniques and their applicability to the testing of sequential and distributed software systems, methods for the estimation of software system reliability, and techniques and tools for managing a collection of Internet-enabled devices. Aditya’s recent work focuses on the design of secure critical infrastructure including water treatment, water distribuition, power systems, and the design of privacy preserving Internet of Things. Aditya was a member of a small team of visionary faculty who launched the first degree awarding computer science department in India. Subsequently Aditya served as the head of this department. Later Aditya served as the associate head and head of Computer Science, Associate Dean of College of Science, and Director of the Software Engineering Research Center – all at Purdue University. Aditya is the founding Pillar Head of the Information Systems Technology and Design pillar and the founding Center Director of iTrust, Center for Research in Cyber Security, at the Singapore University of Technology and Design. Secure Public Critical Infrastructure: Since his appointment as the Center Director to lead the establishment and growth of iTrust, Aditya has focused on creating and growing a world-class research program aimed at designing secure public infrastructure. In collaboration with colleagues from SUTD, Aditya has been successful in designing, building, and operationalizing three testbeds. These testbeds are Secure Water Treatment (SWaT), Water Distribution (WADI), and Electric Power and Intelligent Control (EPIC). The testbeds are used intensively by researchers at SUTD and their local and international collaborators to experiment with techniques for attack detection and safe control. iTrust also manages projects in the area of IoT design and standardization and secure wireless systems. As a MINDEF and SUTD established center, iTrust currently manages projects over $20M in funding. Software testing and reliability: Aditya has been a crusader for the use of code coverage criteria in the estimation of software reliability or as an orthogonal metric to assess confidence in the reliability estimates. He has proposed the “Saturation Effect” as a motivating device, and as a fundamental principle, for the quantitative test assessment using an increasingly powerful suite of criteria. Vendors to enhance marketing of their test tools often use this device. Aditya, in collaboration with Raymond DeCarlo, Joao Cangussu, and Scott Miller, has pioneered research into the use of feedback control in software development. This research has led to the development of a new area now known as Software Cybernetics, a term perhaps coined by Professor Kai-Yuan Cai at Beihang University, Beijing. Top 10 Outstanding Teacher in the School of Science during 1990-91, 91-92, 93-94, and 94-95. Chelmsford Distinguished Speaker, Cadence Corporation, 1998. Finalist, Indiana Information Technology Association’s Outstanding Educator Award, 2000. Distinguished Speaker, Department of Computer Science, Washington State University, Pullman, WA, 2000. Distinguished Speaker, Center for Advanced Computer Studies, University of Louisiana, 2001. Outstanding Service Award, 2002 from the Software Engineering Research Center. IT Man of India, 2003, awarded by Rakshpal Bahadur Management Institute, Bareilly, India. Fellow, CIC Academic Leadership Program, 2004-2005. Next Generation keynote speaker at SDPS 2010 (Society for Design and Process Science), Dallas, June 6-11, 2010. Outstanding Achievement Award, Software Engineering Society, 2010. Current State of the Software Testing Education in North American Academia and Some Recommendations for the New Educators , Proceedings of the 23rd IEEE Conference on Software Engineering Education and Training, Pittsburgh, USA, March 2010, pp. 89-96 (with Vahid Garousi). Fault Coverage of Constrained Random Test Selection for Access Control: A Formal Analysis, Journal of Systems and Software (with Ammar Masood and Arif Ghafoor). Volume 83, Issue 12, December 2010, pp 2607-2617. Yi Fang, Luo Si, Aditya Mathur., “Discriminative Graphical Models for Faculty Homepage Discovery”, Journal of Information Retrieval., Volume~13, Issue 6, December 2010, pp618-635. Ammar Masood, Arif Ghafoor, and Aditya Mathur, “Fault Coverage of Constrained Random Test Selection for Access Control: A Formal Analysis”, Journal of Systems and Software, Volume 83, Issue12, December 2010, pp 2607-2617. Scott Miller, Raymond DeCarlo, and Aditya P. Mathur, “Quantitative modeling for software process control”, In Adaptive Control Approach for Software Quality Improvement, Editors: W. Eric Wong and Bojan Cukic, World Scientific Publishing Company, 72pp, April 2011.